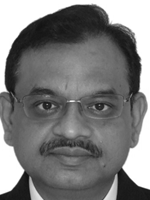 Surendra is the Founder and Managing Director of Vellicate Technologies since 2009. He believes that business analysis and project management are the most under-leveraged capabilities employed by organizations. Done right, done simply, it can shift the organization’s focus from reactive tasks to strategic thinking and drive success by meeting requirements. He has been enabling organizations and professionals convert these capabilities into strategic assets in today’s knowledge based economy and stay ahead of competition. Surendra is highly respected consultant, mentor and trainer who have trained and coached over 5,000 professionals on requirements engineering and business analysis in some of the global leading organizations. Surendra holds Master degrees in Business Administration and Computer Science.